See penguins, sea otters, a living kelp forest, and the special exhibit, “Tentacles” when you visit the Monterey Bay Aquarium. With something for everyone from the youngest toddlers to the most experienced marine biologist, the aquarium is sure to be a California vacation favorite. Interested in visiting? 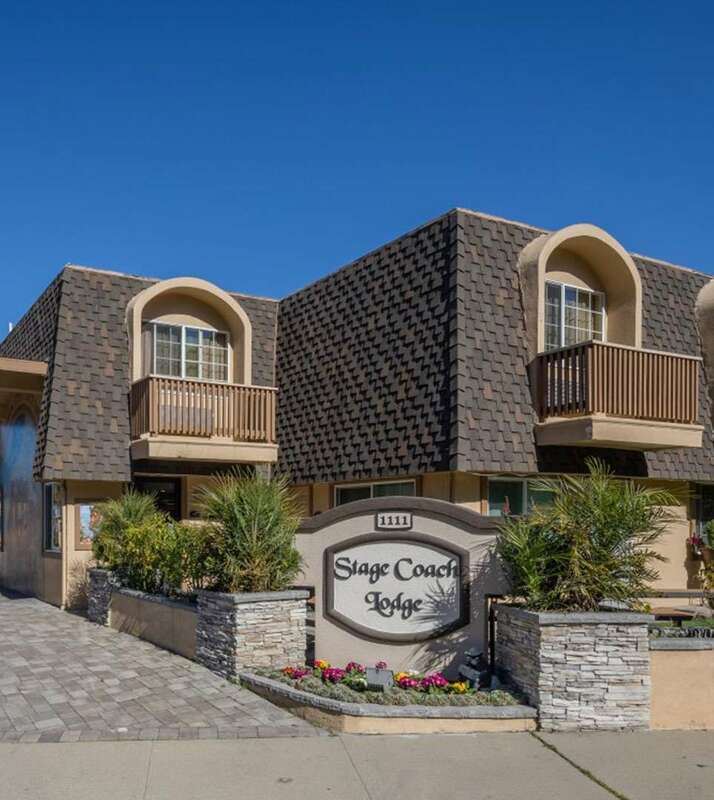 You can get a Monterey Bay Aquarium discount when you stay at the Stagecoach Lodge. Inquire about the aquarium package when making your reservations to get a two-day ticket for the price of a single visit! If you’re looking for another indoor activity, the Monterey Museum of Art is always a great way to spend a few hours. With tickets at just $10 for adults and FREE for students (ID required) and all children under 18 years old, it’s a cheap way to have fun in Monterey, CA. Note that the museum is open to the public from 11 AM-5PM, Thursday-Monday. Step back in time when you take a tour through Monterey State Historic Park. This series of historic buildings will give you a taste of what life was like in the early 17th century when Spanish settlers arrived in Monterey, CA. Seventeen restored residences and public buildings make up this national landmark that lets you glimpse into California’s past. You simply can’t visit Monterey without seeing one of the most scenic golf courses in the world. Pebble Beach is featured in the PGA Tour and the Championship Tour. But golf isn’t the only thing to do at the Pebble Beach Resort. Enjoy the Pebble Beach Equestrian Center, nature trails, shopping, and excellent photography opportunities in this breathtaking combination of natural and man-made beauty. This famous site of John Steinbeck’s novel of the same name was once a row of canning factories, but today it’s the site of some of the area’s best shopping and dining. Many of the street’s restaurants have a historic theme due to the historic buildings in which they’re housed. If you’re interested in spending a low-key day by the water, Cannery Row is the ideal place. With all these great activities, you may also be wondering about hotels deals in Monterey, CA. The Stagecoach Lodge is a boutique style hotel that offers a luxurious way for you or your family to enjoy the surrounding area with all the comforts of home. In addition to the Monterey Bay Aquarium package, this Monterey, CA hotel offers several other discounts and deals on local attractions. Rooms go quickly at this popular tourist spot, so make your reservation now!